Broncos season is underway and do you know what that means? We have the full license to Party On, Mom! Mile High Mamas is excited to be one of the Party On, Moms for the P&G at Walmart campaign that is inspiring moms to bring the party – whether homegate, tailgate or even date night at the stadium. We’re gearing up to bring the party for the Denver Broncos vs. San Diego Chargers game on Sunday, October 30 at Sports Authority Field. Gretchen is appearing on Colorado and Company this Thursday at 10 a.m. to share her fun, inexpensive and most importantly, easy ideas for throwing your own party at home. The best part? She’s got great time saving tips for getting your house party ready and all her goodies only have a few ingredients. Our party plan is so simple your kids can help! 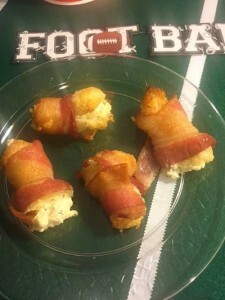 Here are eight fabulous steps to throwing your own Broncos party. Huddle, make a list and head to Walmart to get all your party essentials in one stop. Food and decorations aside, the house has to be ready for hosting and Swiffer, Bounty and Febreze are products we depend upon. 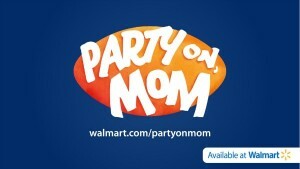 Be sure to enter to win our Party On, Mom pack filled with trusted P&G brands and a $25 Walmart gift card. Ditch the unimaginative tablecloth. Buy a green rug, turf or green felt, grab some athletic or electrical tape for the stripes and and get numbers from the mailbox section in Walmart to create your very own football field. Go crazy with Broncos colors, foam footballs, pompoms and any fun football-themed decor (can you believe Walmart even sells a Broncos-themed slow cooker?) And don’t forget the food. Lots and lots of great food. 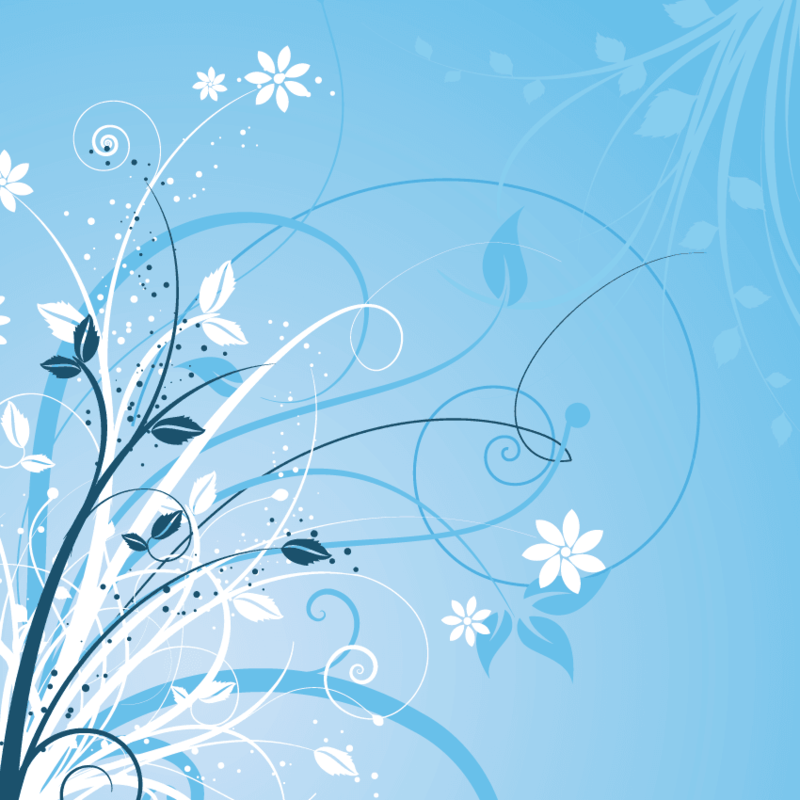 Here are a few of our ideas. 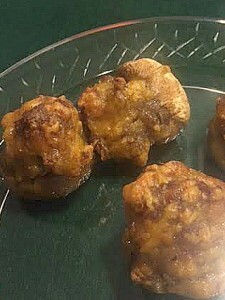 Gretchen’s fast and tasty edibles include Bacon cheese bites. Instructions: Cut the crusts off several slices of bread. Spread a generous amount of cream cheese on each slice. 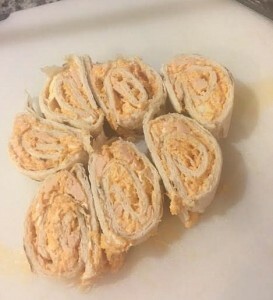 Roll, wrap with bacon and cut in half. Bake at 400 degrees for 20 minutes. 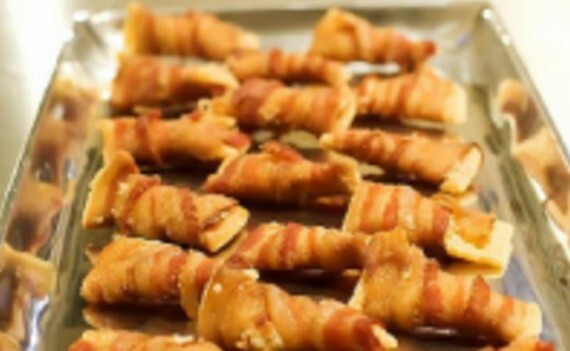 You will fall in love with Pioneer Woman’s famous Bacon Appetizers. The Cast of Characters: Club Crackers, Thin-Sliced Bacon, Grated Parmesan Cheese. That’s it. Yes, we’re serious and these are seriously delicious. Instructions: Mix ingredients together, spread on tortillas, roll, cut and eat. It’s that easy and delicious! We have two different variations to these, both of which require just three ingredients and are mouthwatering. Instructions: Clean mushrooms with a damp paper towel. Carefully break off stems and lightly hollow out the mushrooms. Mix uncooked sausage and cheese together, add the mushroom tops (if desired). Stuff with mixture and bake at 350 degrees for 20 minutes. Instructions: Preheat broiler. Prepare mushrooms like above. Place sausage and onions in a large skillet and cook over medium heat until evenly brown. Blend cream cheese with sausage mixture, stuff mushroom caps with a generous amount and arrange on a medium baking. Broil for 3-5 minutes until lightly browned. Long after your food is gone, keep the party going. Tack your football field tablecover on the wall and use it as a background for a selfie booth. Stack your cups and use a small foam football to do a “knock-down” carnival game for kids. And remember, above all else: Don’t stress, just Party On, Mom! This post is sponsored by P&G at Walmart. These recipes look like an easy, instant party hit!